Choosing a wedding reception venue can be a difficult task. The first challenge is to find a few reception venues that have availability (even if it is years away!) and then after that it’s a matter of cost, accommodation and the available options that they have in order to make the day one to remember forever. Use this wedding reception venue checklist to ensure you ask all the right questions when choosing your ideal wedding reception venue. Do you have availability for the dates we need? What is the cost per head range? What is the estimated cost for an open bar? How long is the venue available for the reception? What photo opportunities are available on-site? How much deposit is needed to reserve the venue? What discounts are available for bulk bookings? Who will be the person managing my reception? When can I meet them? Set meal? If yes, how many courses? What are my options? Buffet? If yes, what are the options? Vegetarian or special request menu? Is the food prepared fresh onsite? What is included if a drinks package is purchased? What are the decoration options? Do you handle the flowers? If yes, what are the options? Are seat covers and sashes included? Do you create the seating arrangement and names for the tables? What are the options? DJ, Band, etc? Can I choose my own entertainer? Are the MC and DJ different people? How large is the dance floor? Do you supply the microphone for the speeches? Are prices fixed once I’ve booked? How many weddings do you do at a time? Is it possible to taste the food and wine? Is it possible to bring our own beer/wine? If yes, is there a corkage cost? What if fewer guests arrive than I’ve paid for? Are there any children packages? Did I miss anything out of this Wedding Reception Venue Checklist? Let me know by adding a comment below! Great article giving the right amount of information and the most important questions to ask. 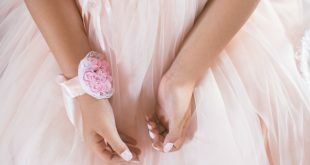 We, at Las Vegas Banquet Hall Dell Angel also wrote a post in our blog http://dellangelhall.com/wedding-planning-checklist-will-help-eliminate-potential-problems/ and would recommend your post to our clients during our first conversations with them. Our Top 10 Wedding Planning Checklists Book is the perfect gift if you know someone getting married or to use yourself if you're the lucky bride or groom! The checklists are available in an easy-to-use 50+ pages letter sized booklet that you can purchase from Amazon.com or download in PDF format from our online shop.